Is the Ridgeback right for me? How do I find a reputable breeder? What should I ask when I do find one? What goes into the cost of a puppy? What's a dermoid sinus, and how to breeders deal with them? What's the difference between a show-quality Ridgeback and a pet? What's better, male or female? What's a "liver nose"? Do Ridgebacks swim? Why is Ridgeback play style so misunderstood? Are Ridgebacks reliable off leash? How are they with kids, other dogs and cats? What's the best way to train a Ridgeback? What are "love ears" and "angel wings"? How should I vaccinate, what should I feed, and what's the best time to spay neuter? 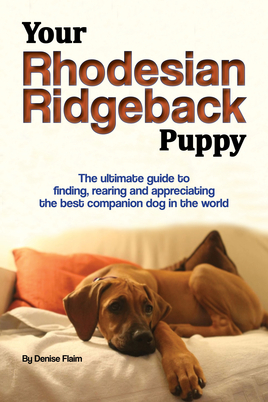 Our new children's book for Ridgeback lovers! 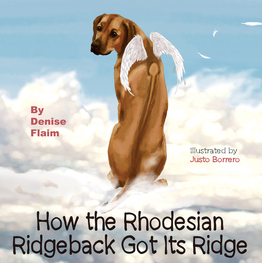 "How the Rhodesian Ridgeback Got Its Ridge" is a charming creation tale about how God made the Ridgeback -- and how the breed got its tell-tale ridge in the process. You can order it here from Amazon. Also available in German, Spanish, French, Russian, Polish and Danish with more languages in the works! 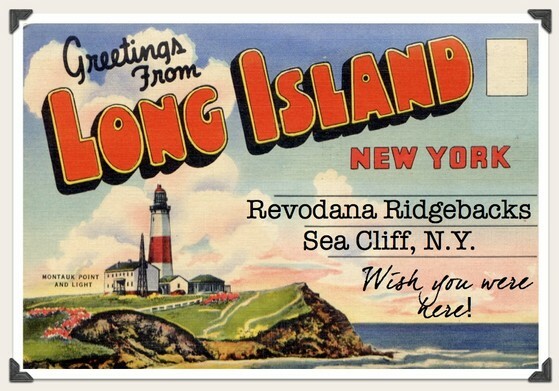 Welcome to the Revodana web site. 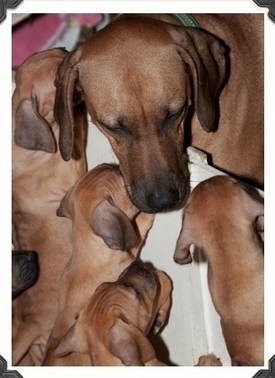 Our names are Denise Flaim and Fred Eder, and our passion is the Rhodesian Ridgeback. We strive to breed healthy, beautiful and functional representations of this majestic breed who are sound in body and mind. Our philosophy is very simple: We believe that a Ridgeback is a lifetime commitment, and when you buy a Ridgeback, you are also buying a breeder's support and expertise. We prefer to meet potential puppy buyers before any planned breeding so we can get to know each other and determine if we are a "good fit." Please enjoy your visit to our site. You'll meet some of our dogs, as well as get a deeper understanding of a breed that we think is the finest companion dog in the world, for the right owner. 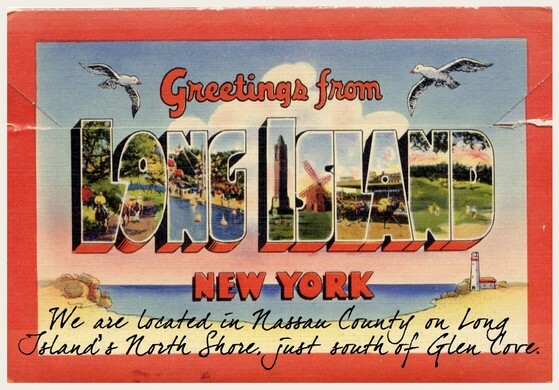 To inquire about puppies, please contact Denise at revodana@aol.com, or evenings at 516-676-3398. Click here for a video of the babies!